Basecamp Northcote started out in October 2013 with a mission to provide home to delicious Birmingham Balti curries. What is Birmingham Balti, you ask? In short, its Indian styled British curries served in small Balti dishes. With ranges from smooth curries to fiery Indian chillied dishes, Balti is a definite win amongst all lovers of Indian Cuisine. But wait, that is not it, it is perfect for vegans, vegetarians and meat-lovers alike. 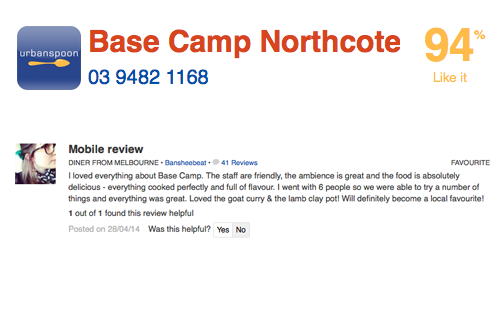 Base Camp is not only home to Balti curries. We offer a range of Himalayan dishes from momos, to monthly Chef's Special. Come try us out to find more. P.S. did we mention we offer gluten-free, vegan friendly, vegetarian, and meat lovers' dishes. P.P.P.S. We also do deliveries, if you cant make it to the restaurant. Just hit the bookings menu.